Home » Health / Wellbeing » How to Deal with Anxiety: What is Anxiety? Whether you think you can, or you think you can’t, you’re right! You are experiencing anxiety when your mind goes towards a possible, horrible, bad, unpleasant future and you react to it NOW. No one is anxious when they think about getting compliments, or having a great time. We are anxious about something that MAY go wrong in the future. The amazing thing about this is that we do it all in our heads. We can have some extreme physical reactions to imaginary future we concoct for ourselves: we sweat, our heartbeat goes up, we breathe fast, we have stomach pains, headaches, nausea, our voice shakes, we have difficulty concentrating, we are edgy, angry, we shake, we can’t sleep sometimes. We are all very trained in anxiety. In fact, we are taught to be anxious by our parents and teachers. 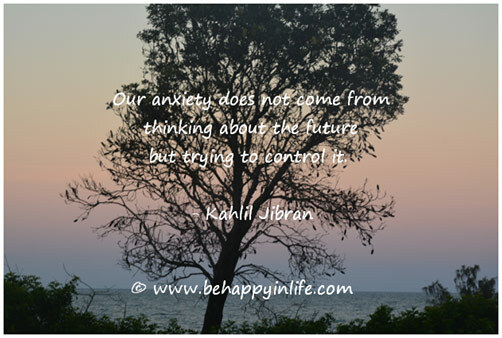 Every time you tell your kids to think about what will happen in the future, you are teaching them anxiety. Instead of teaching them to be in the here and now, we are teaching them to consider possible options, even bad ones. I am guilty of this too sometimes, but we are developing their anxiety. The truth is that thinking about the future is necessary. It is part of our jobs as parents to socialize our kids into being fully functioning people and thinking about the future is part of that. However, it does not need to be all about how things can go terribly wrong. We can focus mainly on a possible, positive, fantastic, successful, empowering, happy future, such that most of their future thinking process will be positive and happy. Remember that all this happens in their minds. It turns into a self-fulfilling prophecy, what the mind can conceive, they can achieve. They will turn the imaginary future in their minds into reality! Our role as parents is to teach our kids to think of a positive, happy future. It is also to help them manage the anxiety they already have. This starts with being a good role model. Remember the rule, “anxious parents raise anxious kids”. Kids are mirroring us. That is how they learn everything. When you are feeling down or scared, it will help to know what is anxiety and what is not anxiety. Here are four things you need to focus on to determine if what you (or your kids) are feeling is anxiety or not. If you are not aware of your feeling, you are not motivated to change it. It is essential that you ask yourself, “How do I feel?” or “What is the feeling I have NOW?”. Give it a name. It is amazing how this question can change your life. To develop high emotional intelligence, first we must be able to answer this question. If you are able to answer it, you already have higher emotional intelligence than most people in the world. It is important to ask this question not only when you are feeling bad. D it when you feel good too, so you can understand the emotional process of feeling happy, successful, joyful, proud, loving, or hopeful in your life. Sadness is a past thinking process – you go into the past and bring an event that triggered sadness and you relive it over and over again. 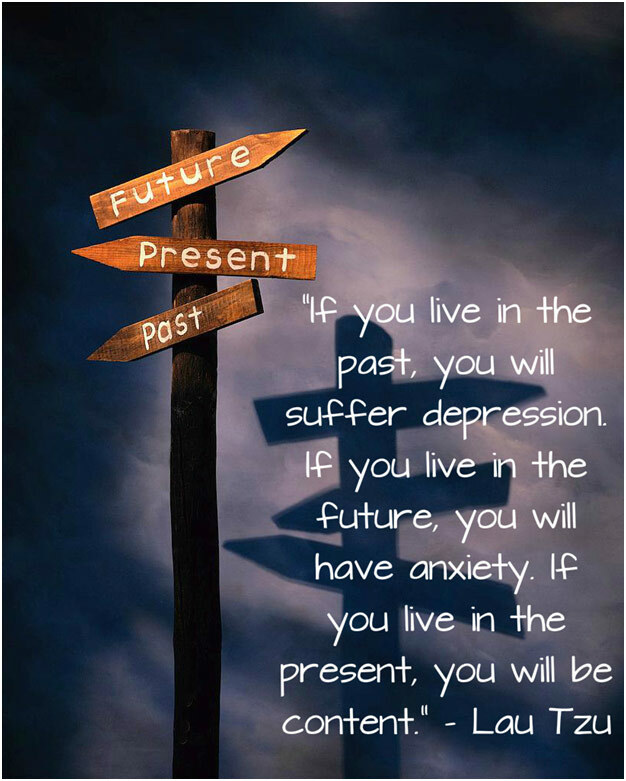 Anxiety is a future oriented process (I call it the destructive future telling process). It is true that we sometimes go into the past and bring an experience of failure that we are afraid of facing again, in the future. However, the past cannot be changed, so it is the future we are afraid of, and the thing we need to overcome. Depression is a general, long term period of feeling sadness. Anxiety can be both long-term and also over a single event. For a person to be considered depressed, they need to be feeling down consistently for at least 2 weeks, and not because of a single event. There can be some correlation between the two, but it is important when we ask ourselves the question, “How do I feel now?” to distinguish between this long-term feeling of sadness and general low motivation, as opposed to a fear of the future. Whenever we are anxious, we expect external forces to change our feelings. Most people do not understand that the feeling of fear is coming from inside. We are not in real danger. Even if things do not work out the way we want them to, it is still not the end of the world. When people do not understand that anxiety happens inside them, they expect others or circumstances to change their feelings. They have regular thoughts like “If only … happens, I can …”, or, “If he didn’t say that I wouldn’t feel like this”, or, “If only my parents bought me this phone, I would be cool”. “If … then …” only works when we take full responsibility and say, “If I do this, then, I will feel that”. This is when we totally understand that whatever we think is inside of us and that 10% of anxiety is what happens to us and 90% is what we think and choose to do about it. Join me in the next chapters for tips on how to deal with anxiety.